Over the last decade we have witnessed significant maturation of the debate around the potential impact of nanotechnologies and other emerging technologies. A global risk research agenda has been developed to address key areas of uncertainty, and we have seen a shift towards ‘responsibility’, ‘responsible development’ and ‘responsible innovation’ of these technologies and their products. But what do we mean by ‘responsible research and innovation’ (RRI)? And how is this concept being operationalized in relation to emerging technologies? 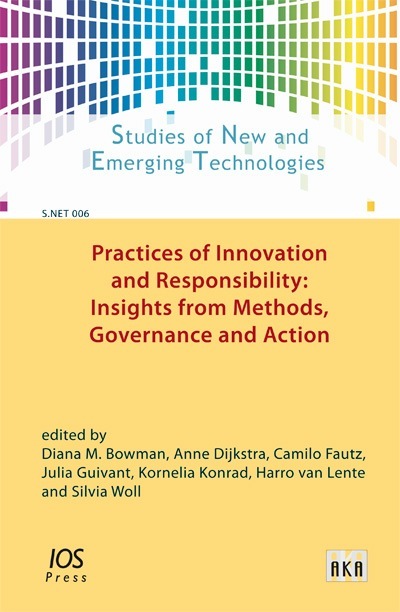 Bringing together contributions and perspectives from the multidisciplinary S.NET community, Practices of Innovation and Responsibility: Insights from Methods, Governance and Action, examines the question of how RRI may be put into practice, via concrete methods and approaches, and as anticipatory practices designed to shape the innovation process itself.